Our mission is to make a real difference to patient care for over 840,000 patients treated each year, as well as the millions of friends and family who visit them, and over 9,000 NHS staff who care for them. 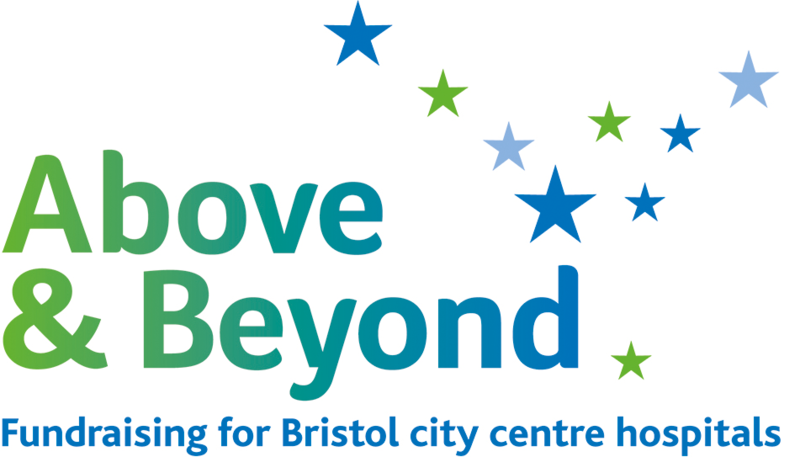 We fundraise for Bristol city centre hospitals within the University Hospitals Bristol NHS Foundation Trust (UH Bristol). In 2017 our hospitals were rated ‘outstanding’ by the Care Quality Commission, one of only six trusts in England to receive this rating. Your support means projects that go above and beyond what the NHS can provide become a reality. To get involved, you can fundraise, volunteer, take part in events, support us at work and play our lottery. Call 0117 927 7120 or visit our website to find out more. Above & Beyond. Registered Charity Number: 229945. Registered office: The Abbot’s House, Blackfriars, Bristol, BS1 2NZ.